Will Short-Term Insurance Plans Save You Money? | Will Short-Term Insurance Plans Save You Money? Will Short-Term Insurance Plans Save You Money? 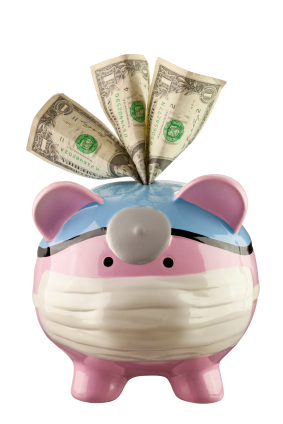 You may have heard that short-term health insurance plans can save you money. Before you buy one, it is a good idea to look at the big picture. These types of plans are not going to be ideal for all consumers. Short-term health insurance plans are also called short-term limited duration health insurance plans. They were originally designed for people who have had a temporary gap in health insurance coverage. For example, a short-term plan is for people who are leaving one job and starting another. They lose the health insurance coverage from their old job, and have to wait for the new job’s health insurance benefits to kick in. Short-term heath plans are are cheaper than the health plans on the Affordable Care Act marketplace. The short-term plans can cost as little as $25 a month. Short-term plans are widely available, and may not require people to wait for open enrollment. Your premium will be less with a short-term plan. However, since short-term plans do not cover very much, you will end up paying more out-of-pocket than you may have expected. * They are allowed to deny you coverage if you have a pre-existing condition. * They are allowed to refuse to cover people with chronic health conditions. * They are allowed to cancel your insurance coverage if the insurer learns that you have a condition that you did not tell them about. * They are allowed to charge sick people more money for their premium than they charge healthy people. * They don’t cover maternity care. * They don’t cover have to cover prescription drugs. * They do not cover mental health care. * They are allowed to use your medical history to deny coverage for the health care you need. * They do not cover mental health. * They will only cover a hospital stay up to a certain dollar amount. After that, you will have to pay out-of-pocket for the rest of the bill. * They are not required to cover the essential health benefits that Affordable Care Act plans are required to cover. A short-term health insurance plan may be a good choice if you are leaving one job and must wait to qualify for health insurance coverage at your new job. A short-term plan might be ok for a young and healthy person, who has no pre-existing conditions, no mental health conditions, and who does not use any prescription drugs. Most people, however, will find that the low premium price on a short-term health plan means that they are going to have to pay out-of-pocket for the majority of their health care needs.